There are several disadvantages of indoor outdoor carpeting including it is not as comfortable to bare feet, it’s not as stylish, and it looks “cheaper” as other types of carpet. Nonetheless, it is quite affordable and an excellent choice for many locations. Indoor outdoor carpeting is the ideal type of flooring to use in many situations in which there will be exposure to the elements. It is great for the porch, a screened in deck or patio, and any area in which you don’t want a concrete slab but something more comfortable. It is resistant to damage from rain, snow, ice and wind. When properly applied, outdoor carpeting can last for several years providing comfort and a finished look to your outdoor area. Indoor outdoor carpet can be chosen from a variety of colors and styles, unlike in the past when your choices were quite limited. Some is more of a shag type material which is cut very short. Others are similar to standard types of carpeting. They can be made of soft plastics but most commonly are made out of synthetic materials that resemble the constitution of many types of carpet for indoors. Commonly, it can be purchased in gray, brown, black, green, and tans. It can be laid in a wall to wall fashion to cover the floor surface, or it can be laid in just a small area like a throw rug. Lay the double sided tape around the edge of the room that needs to be carpeted after it has been cleared of all furnishings and has been cleaned thoroughly. Leave the tape backing in place for now. Lay the carpeting in the middle of the room, making sure to extend it over all edges of the room far enough to cover all corners. One by one, fold back each side of the carpeting, remove the backing on the table and lay the carpeting down.
. Cut away excess carpet, making sure to get as close as possible to the edges. Cut away excess by doors and corners enough to allow for a neat fit. Press along the edges to insure that the carpeting is in place. Indoor outdoor carpeting can be purchased at many home improvement stores as well as flooring stores. You can also find it available on the web. It is an excellent product to put in various locations of your home or business. It is resistant to stain, easy to clean, and it will offer comfort to “outdoor” areas of your home. Indoor outdoor carpeting adds a finishing touch to any outdoor room. Here are some good guidelines when laying outdoor carpet to a deck: http://www.essortment.com/home/installationins_sntl.htm. I hope that helps! I was thinking of laying an outdoor carpet over existing linolium I have in my sunroom. Is there anything i should be particularly concerned about before doing this? Hi Joe, Yes, you can install outdoor carpet over lineoleum and really shouldn’t have any problems. Painting carpet in high traffic areas or areas that get wet could lead to flaking. square. I need a rug or mat that my two cars can drive on. I am 82 years old and am concerned about falling on a painted floor if it is wet or slippery. Rubber garage flooring is a rubber garage flooring that rolls-out onto the floor. No floor preparation is required. 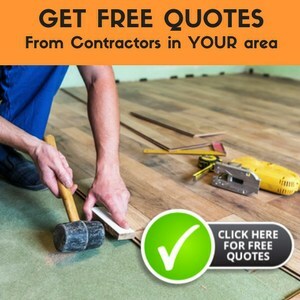 The flooring is available in custom sizes. The flooring also provides noise reduction and padding for extra comfort on feet. Yes, absolutely you can, if the indoor/outdoor carpeting is inside (like in a basement or work room). In fact, you definitely should use a carpet pad underneath if the indoor/outdoor carpeting is being installed inside and you don’t intend to adhere it to the subfloor, as using a pad will protect whatever flooring you have down underneath in addition to providing extra comfort underfoot. In this case, you can really use any kind of carpet pad you like underneath, though the information in this article on our site may help you choose which one: https://www.theflooringlady.com/basement_carpet_pad/ . Of course, if you choose to adhere an indoor/outdoor carpet to the floor underneath, use of a carpet pad would be impossible. If, however, the indoor/outdoor carpeting is being used outdoors (or even semi-outdoors, like in a screened-in porch area), or somewhere where you anticipate moisture, I would say do not use a carpet pad. All that will happen in that case is that any time there is water you will need to dispose of the carpet pad, as it will have soaked up the moisture, trapping dampness and resulting in a mold problem. Best of luck and let us know how things work out! We built a wooden platform, covered it with indoor/outdoor carpet(screwed onto the wooden frame), then put a gazebo on it that now comes down for winter. Question – do we leave the carpet exposed to the elements, cover it with plastic? Your opinion would be appreciated. Thanks. Well, my answer will depend on a few different factors. 1.Did you put any kind of a carpet pad under the indoor/outdoor carpet or did the carpet itself come with a pad attached? If you have a carpet pad underneath that is not completely water proof, definitely cover and do not leave it exposed to the elements, as you will end up with a mold and mildew problem really fast. 2.Did you treat the wood with any kind of a sealant before laying the indoor/outdoor carpet? If you didn’t, I’d recommend going ahead and doing that and probably re-treating it annually. Maybe plan to do that each year when you take the gazebo down? This would mean the indoor/outdoor carpet could be left exposed to the elements without ruining the wood underneath. I wouldn’t plan on the carpeting being sufficient protection for the wood underneath without sealant. 3.Do you care about fading on the carpet? Leaving it exposed will definitely fade the carpet faster than covering it. This would be the main reason, in my opinion, to cover it. Otherwise, good luck and let me know how it goes! Put a large area of indoor outdoor carpeting on deck that is mostly covered. About 2 feet and around edges will get snow. Have it taped down in spots with 2-way tape for carpeting. Should I pull up for winter or leave down entire year? Will it get moldy underneath? This really depends on the kind of indoor outdoor carpet you have. If you have an indoor outdoor carpet that has marine backing, you are less likely to end up with a mold problem. Also, it will depend a little bit on how much snow you are anticipating and whether the areas that will get snow will also see a bit of the sun. The sun helps prevent the mold and mildew from getting out of control. 1. How hard is it to pull up the carpet and store for the winter? If it’s really simple and not a huge area, certainly just pull it up for the winter and lay it back out when the snow has passed! 2. Is the wood on the deck underneath sealed and safe? If not (or if the deck hasn’t been re-sealed in a long time), you don’t want to trap the moisture between the carpet and the deck and risk damage to the wood. Go ahead and pull it up and seal the deck before the snow moves in for the winter. I wouldn’t be surprised to see the 2-way tape get a bit moldy, though, so that may be something you want to consider, too. Also, if your deck underneath is safe and you don’t really want to pull up the carpet for winter, you could always give it a try and see how the carpet looks in the Spring. If it is moldy, you can usually get rid of the mold with a bleach solution. If it were me, I would leave it down and see how it goes (provided the deck underneath is safe)! can ceramic tile be installed over glued down indoor/outdoor carpet? I want to lay indoor outdoor carpet in my bathroom to protect the tile from hairspray. Will the carpet damage my tile? I’ve seen horror stories about indoor outdoor carpet being taken up outside but from what I’ve read that is because adhesive was used.